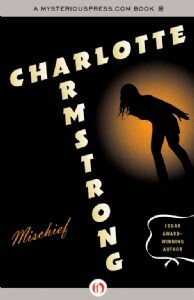 Some call her the master of domestic suspense; others, a forerunner of suburban noir—but, believe it or not, Edgar Award-winning author Charlotte Armstrong took over thirty years to begin writing the mystery and suspense novels for which she is now known. After leaving her rural origins in Vulcan, Michigan, an iron-mining town on the state’s Upper Peninsula, Armstrong attended New York’s Barnard University. Upon graduating, she worked briefly in the Classifieds bureau of the New York Times, married, and passed the years publishing poetry (much like Dorothy B. Hughes, another early female crime author) and authoring plays. 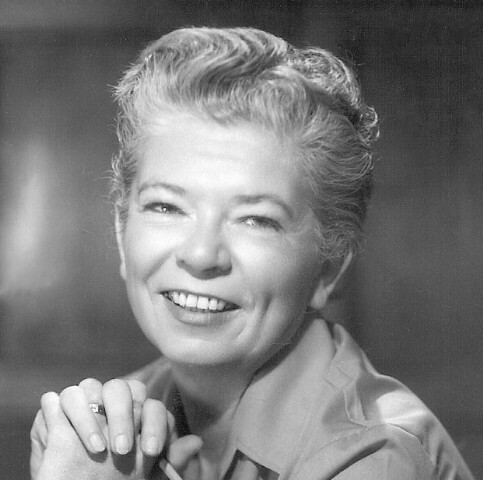 In 1942, after two of her plays (a tragedy and a comedy, respectively) made it to Broadway, Armstrong found time to write her first novel, a whodunit titled Lay On, Mac Duff! that instantly found success. She followed the book with two more books featuring the detective MacDougal Duff, The Case of the Weird Sisters and The Innocent Flower, before turning completely, and finally, towards suspense with The Unsuspected. Ten years and seven books later, her A Dram of Poison won the Edgar Award for Best Novel. By harnessing the principles of traditional playwriting, Armstrong was able to create well-paced, intricate plotlines that rely on complex characters and relationships. In fact, in The Unsuspected, she used the world of New York Theatre itself as the setting for a tale of murderous intrigue. When two characters go incognito to solve the mystery of a young woman’s murder, they enter into the strange underbelly of Broadway success, and soon become entangled in a web of greed and violence that connects an impresario, his two adopted daughters, and his former secretary, their dead friend Jane. There are clear elements that categorize the story as suspense, but it is as much about relationships between characters as it is about murder, adding a heightened level of tension—one of knowing and not knowing—that continues to captivate audiences to this day. Armstrong’s work is characterized by a meticulously-plotted, theatrical tension; her books also, almost invariably, focus on everyday people, people whose seemingly uneventful lives nevertheless leave openings for peril, which might take the form of suspicions, double-crossings, or murderous passions. Take, for example, Mischief, a book in which a professional couple hires a babysitter to watch their daughter while they have a night on the town. They find Nell, a young, dull-faced girl from Indiana, and leave her to watch over their sleeping Bunny. But beneath Nell’s bland expression lies madness, and it soon becomes clear that Bunny is anything but safe. Anything and everything can go terrifyingly wrong. Given her background in the theatre, and the fact that so many of her stories involve ordinary people—especially young women—who get mixed up in dangerous scandals, it’s not surprising that several of Armstrong’s novels were adapted for the cinema. Michael Curtiz, the director of Casablanca and Mildred Pierce, made a film of The Unsuspected; The Case of the Weird Sisters (scene) was adapted in England, featuring a screenplay by poet Dylan Thomas; Mischief became Don’t Bother to Knock (Marilyn Monroe’s first leading role); and The Chocolate Cobweb was filmed by New Wave director Claude Chabrol. Charlotte Armstrong’s long, prolific career has left a lasting impression on both literature and cinema. We're proud to offer thirteen of her most well-known titles in eBook format. Find them all here.